The great and the good of the drumming world will meet later this month, all in the name of making you a better drummer. 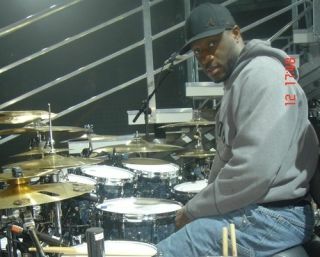 Rhytmfest will see Karl Brazil, Dave Mackintosh, Jerry Brown, Gary Husband and more put on clinics and classes as part of a week-long educational drumming feast. To find out exactly what you can expect from Rhythmfest 2010, check out the video below. Now in its tenth year, the course, which is run in association with Rhythm, is set to feature a schedule filled with artist performances, workshops and classes, making it the perfect way to brush up on your skills this summer. The action gets underway in Cheltenham on 31 July and runs until 6 August. For more information visit www.rhythmfest.co.uk.